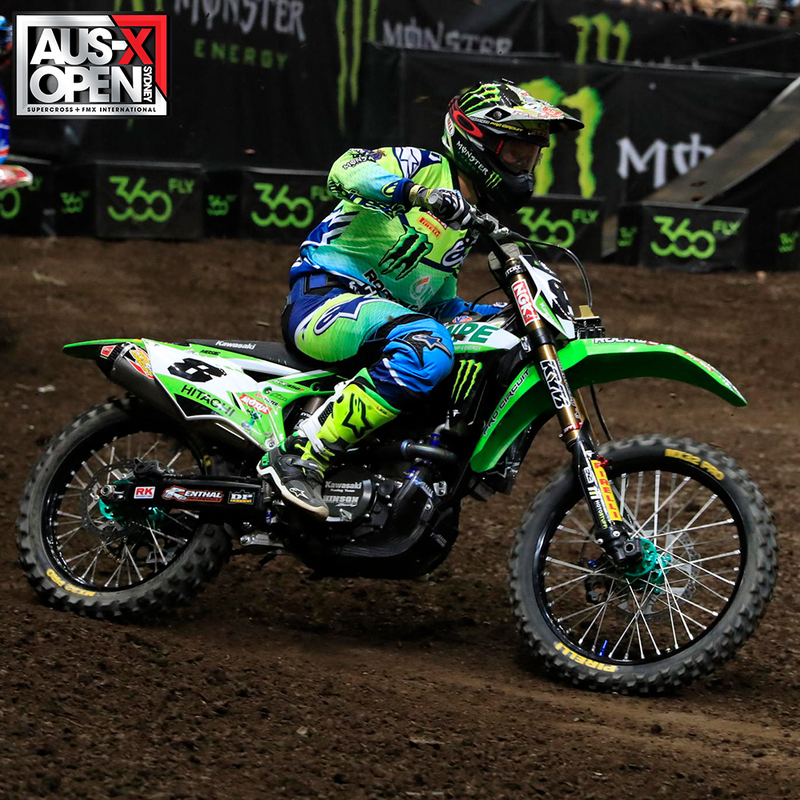 National Pump Monster Energy Kawasaki Racing Team’s Wil Hahn sealed fourth in the 2016 Australian Supercross Championship following a thrilling AUS-X Open round to cap off the season inside Sydney’s Qudos Bank Arena. 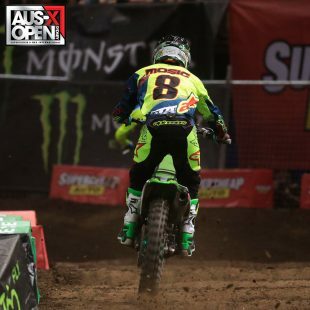 A sell-out crowd saw Hahn finish 10th in Saturday’s opening night for round five of the series, before improving to seventh in Sunday’s sixth and final round of the season. 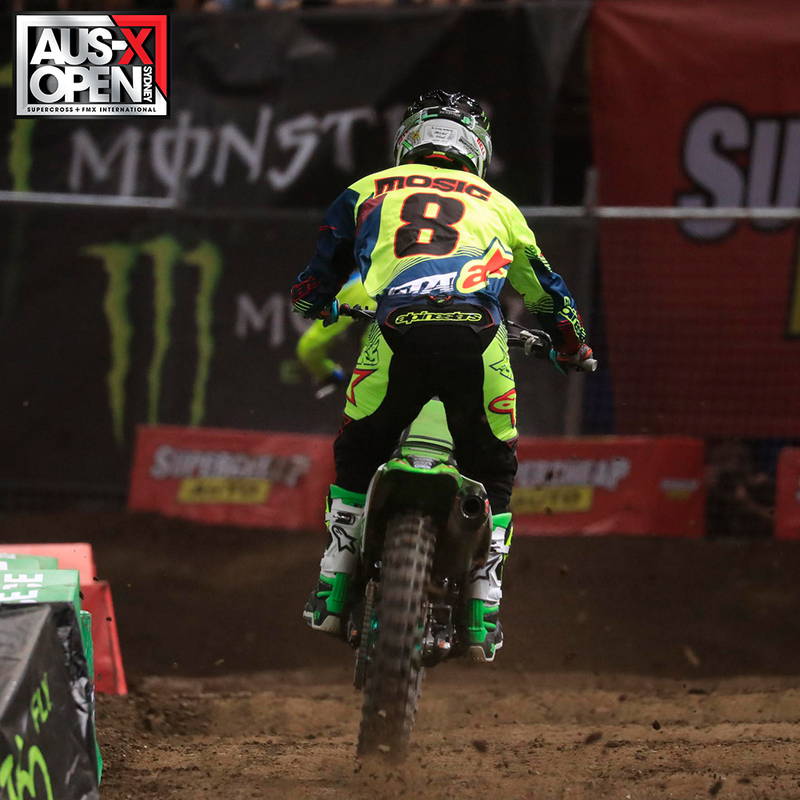 It was a result that saw the American import tie on points for third in the standings, but was awarded fourth overall on count-back this evening. He announced he will retire from fulltime professional competition ahead of 2017. “It was an up and down weekend for sure!” Hahn explained post-race. 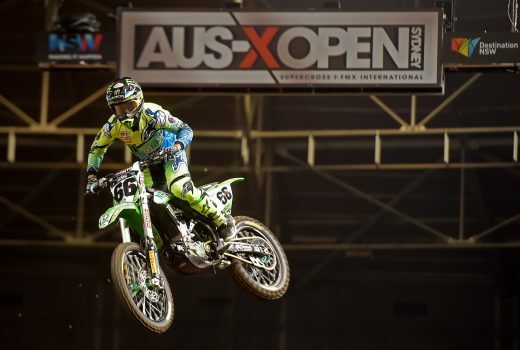 “I lost a lot of points last night unfortunately, but tonight I rode good and made some points back. The main event was pretty chaotic, but to have the opportunity to come over here and end my career in Australia is really cool. 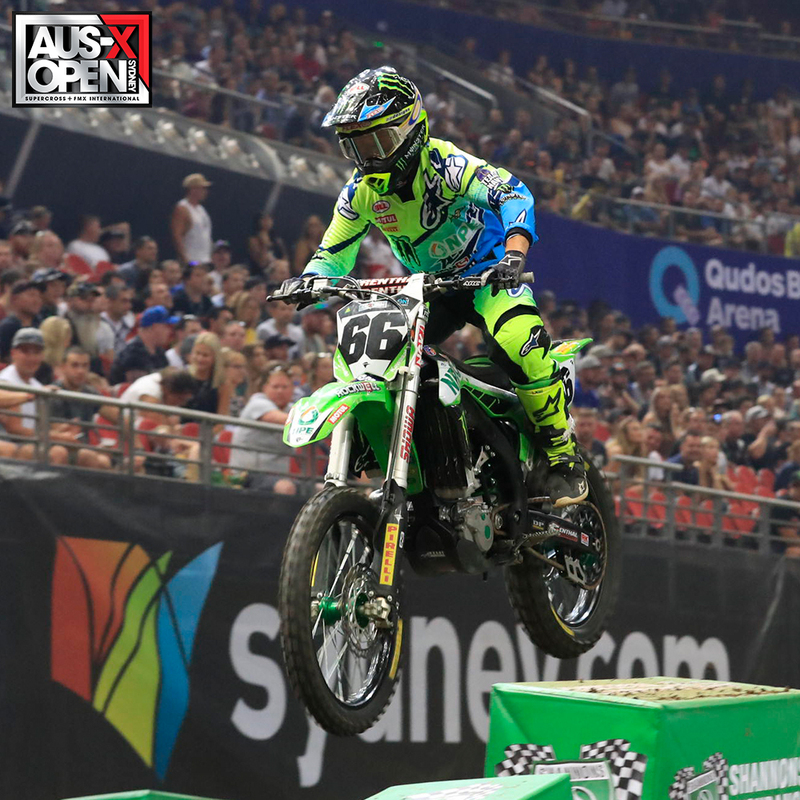 Teammate Mosig rode his KX450F to an impressive fifth-place finish on Saturday, going up against increased international competition this weekend in the Sydney spectacular, but was unable to make it through to the 12-rider main event on Sunday. Despite a difficult final round this afternoon, Mosig was able to claim sixth overall in the championship after a hard-fought six rounds across the country. “It’s been a little bit of a struggle this supercross season, so it was good on Saturday to turn it around and finish fifth in the final,” Mosig said. “That was my best of the season, but today I didn’t get a clean run through the heat or semi, then in the last chance I gave it everything and wasn’t good enough – that’s the sport we’re in and it can be tough. 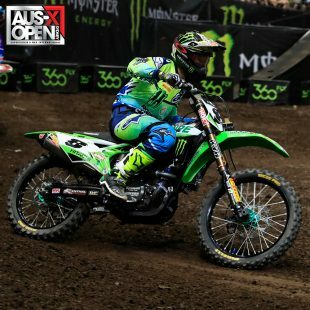 Retired four-time Monster Energy AMA Supercross Champion Ryan Villopoto made a great return to the sport in a one-off appearance pitted with the Australian factory-supported Kawasaki squad, going 6-4 in the AUS-X Open.